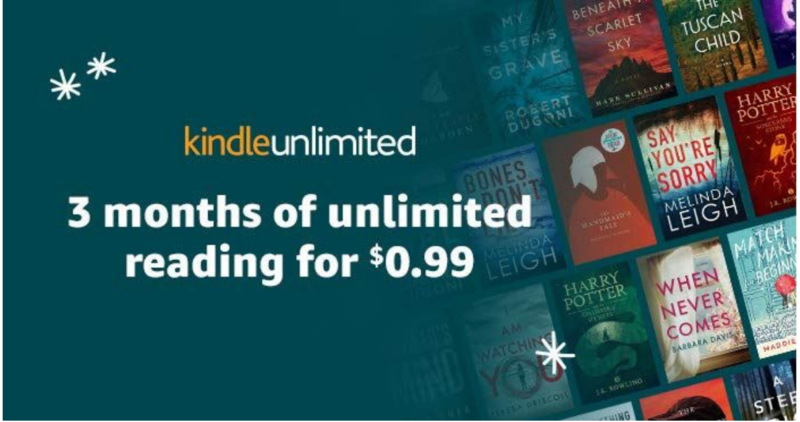 Right now Amazon is offering new subscribers to Kindle Unlimited a 3-month membership for 99¢! It’s regularly $9.99 per month. Kindle Unlimited allows you to get unlimited reading and audiobooks on any device (with over a million titles and thousands of audiobooks to choose from). Note: This is valid for new Kindle Unlimited subscribers only. After the first 3 months you will be charged $9.99 per month (you can cancel at anytime, so set a reminder to cancel if you want to). This offer is valid through 2/28.